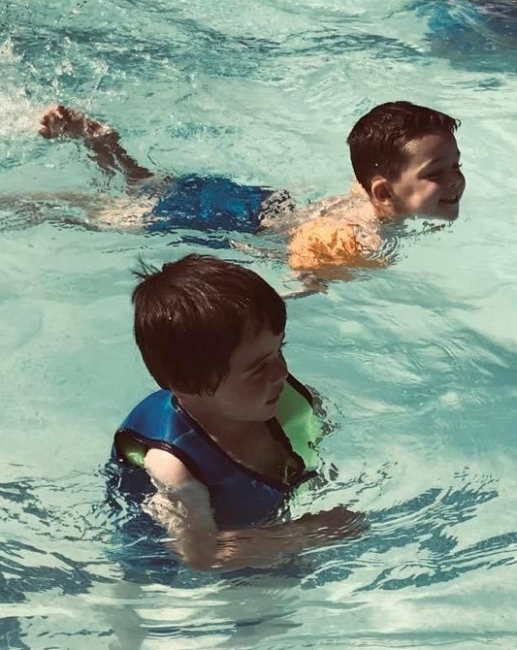 We have rooms for babies, toddlers and pre-school children, a very large garden and use of school facilities including IT suite and swimming pool for the summer! When you need childcare, we know how difficult it is for you to decide exactly where to leave your little ones. What is your main concern - will your child be happy? Is the environment safe and secure? Is the nursery flexible enough to meet your needs? Will the investment fit in with your budget? Are the nursery staff caring and qualified? There will be hundreds of questions you want to ask, and as one of the very best nurseries in Brentwood we are here to answer those questions and put your mind at rest. If childcare is needed because you're returning to work then the choice can be even more difficult, but here at Hopscotch we've tried to make it different for both you and your child. We've been through exactly the same decision taking processes as you are about to, and we know what is important to you as a parent. Our aim is not just to make sure your child is happy about going to nursery, but it is our intention to help you in any way we can. That means if you have gone out after leaving your child at nursery and there is traffic on the way back, you shouldn't worry about calling us to advise that you will be late. If you need an extra day to cover that last minute meeting at work, then we will do what we can to say 'yes' to your child attending nursery for the extra day. “To all you special ladies who work so very hard. My E adores you all. Thank you for taking such good care of my baby"
Our nursery is very safely situated in the grounds of Kelvedon Hatch Primary School, set amongst beautiful countryside in a secure traffic free location. The Nursery, based in Brentwood, has three rooms, catering for children aged between three months to five years. 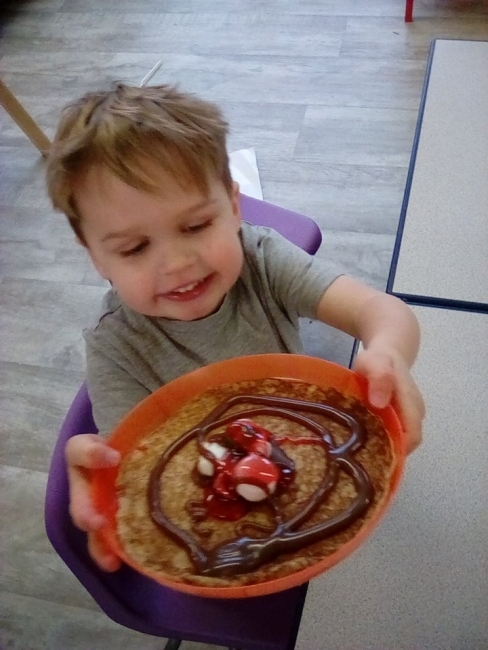 We also offer a breakfast club and after school club for children aged between four and 11 years who attend Kelvedon Hatch School. We are open all year round excluding Bank Holidays, between 7.30am and 6pm weekdays. We participate in the Government Grant (Funding) scheme for children aged two and over and we also take most Nursery Vouchers. We are here to wherever possible accommodate your childcare requirements. 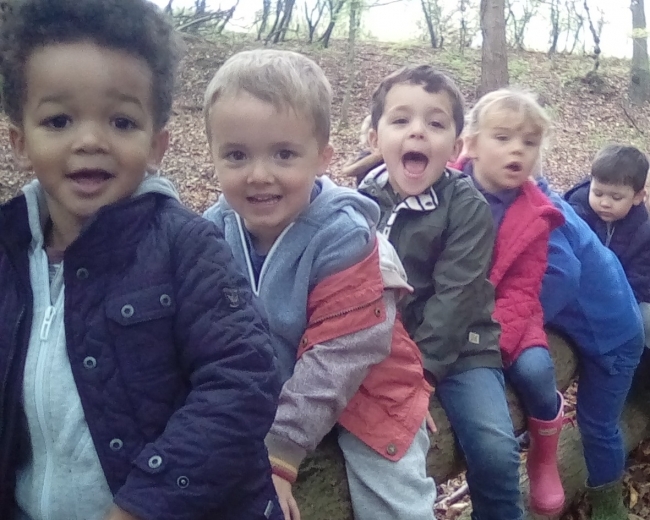 The nursery is headed by our dedicated and experienced manager Amanda who has worked in childcare for twelve years and who holds a Level five Foundation Degree qualification. 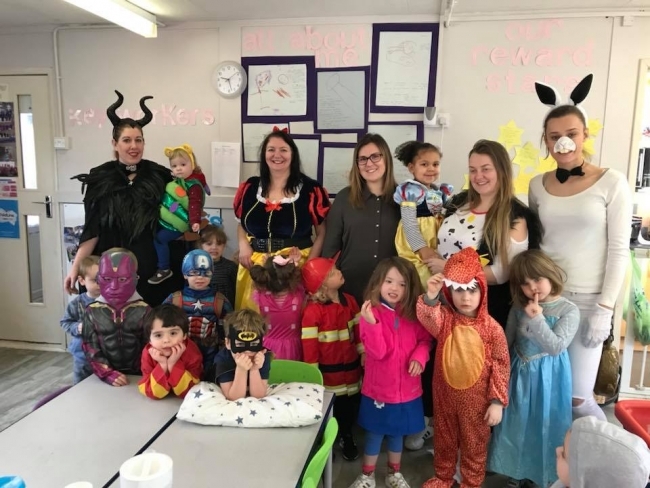 All the nursery staff are qualified in childcare, and training for all staff is ongoing with management staff currently undertaking Foundation Degree courses. In addition all staff hold qualifications in First Aid which has enabled us to achieve Millie's Mark - England's Gold Standard in Paediatric First Aid. Staff have also received training in Food Hygiene, Behaviour Management, SEN (Special Educational Needs), Makaton, Safeguarding Children and Child Protection, Equal Opportunities and Promoting Positive Behaviour. At Hopscotch we treat meal times as social occasions and with this in mind our staff are encouraged to sit and eat with the children. We all start our day together during breakfast and the children then move out to their own rooms. Snack time is a varied daily selection of fruit, dips, crackers, and vegetables. Lunch is brought in from home so you can ensure your child will be happy to eat whatever has been packed for them. Tea is prepared by the Hopscotch staff who hold Food Hygiene certificates. Our tea menu is regularly reviewed and updated to take into account all the children's individual dietary requirements. With all meals children are offered a choice of milk or water and fresh water is available to all children at all times. Because of the location of our nursery in Brentwood we can offer extra curricular activities throughout the year. In the summer months we have access to the school swimming pool for all children who attend nursery. These sessions are run by a qualified swimming teacher and children are taken in by a member of staff on a 1:1 ratio. We use the school ICT computer suite and also the school playgrounds and playing fields on a regular basis. We have a Graduation party in July as the older children leave to go to full-time school. We have security lighting and a biometric fingerprint door entry system for all staff, parents and carers. 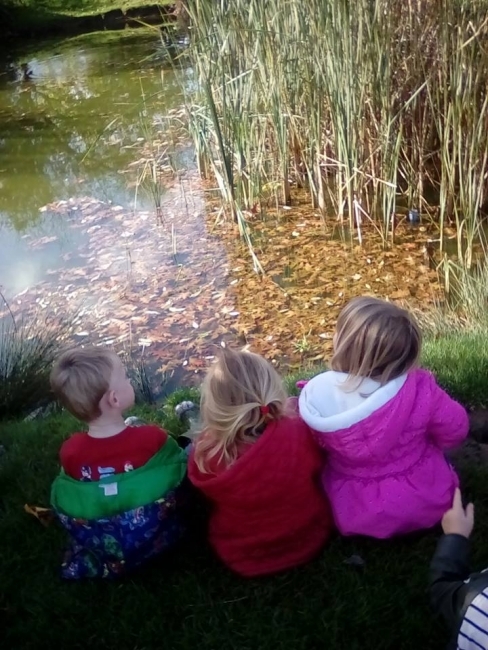 We arrange regular trips out with short walks to the local areas of interest plus many opportunities for visitors to come in and talk to the children. During school holidays we run a holiday club for children aged up to 11. We arrange visits from special people like a professional tennis coach on our sports days, outings to a care home and picnics at the park along with forest school sessions and den making days. Please click here to see our schedule for the next school holidays.